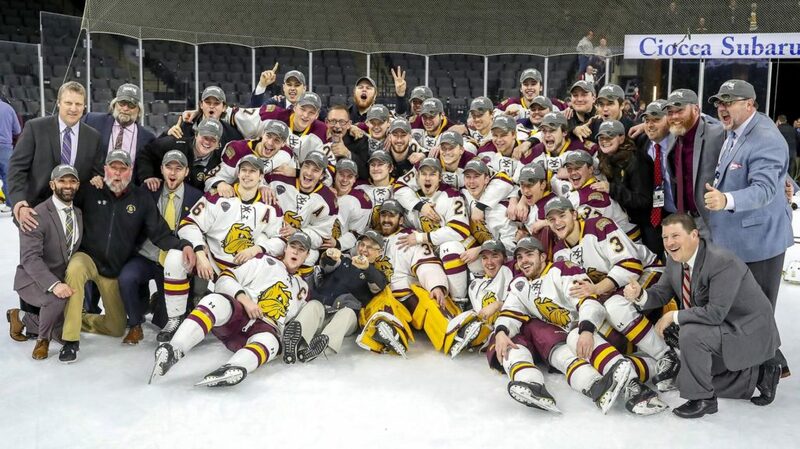 ALLENTOWN, Penn.- After a challenging 2-1 OT win over Bowling Green on Saturday and a 3-1 win over Quinnipiac University in the NCAA Midwest Regional finals, the UMD Bulldogs are headed back to the Frozen Four for the 3rd straight year setting a program record. The Bulldogs now prepare for the Frozen Four semifinals which will be held April 11 in Buffalo, NY. They will be facing Providence College while Denver and UMass will play in the other semifinal game.